Clean eating is about whole or minimally processed foods—ones that are as close to their natural form as possible. Ultra-processed foods have been linked to a number of health problems, like infertility and cancer, and have also been deprived of the nutrients needed to support overall health. Switching to a diet heavy in fruits and vegetables can curb or prevent conditions like diabetes, heart disease, and high blood pressure—plus, it can also help you lose weight and make your skin and hair look healthier. Use this clean eating plan to jump-start your health goals in just seven days. 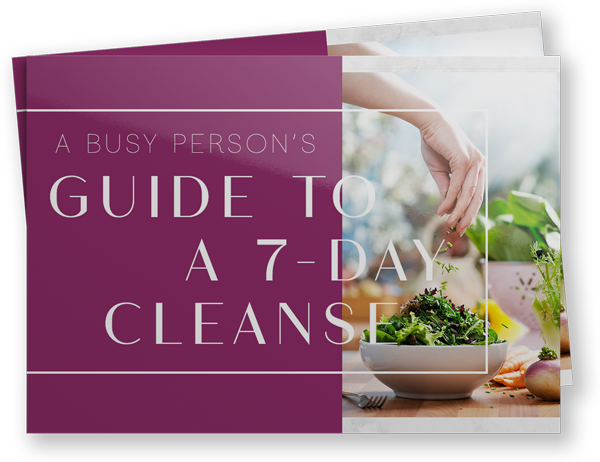 Created in partnership with Dr. Megan Schlick, ND, of AdventHealth Shawnee Mission Holistic Care, the cleanse eliminates potential food intolerances to help you feel more in control of cravings, increase mental clarity, and even lose some excess weight. And since a busy lifestyle can often get in the way of clean eating, we’ve included a meal plan, recipes, and grocery shopping list to make things as easy as possible. Download your free copy today.